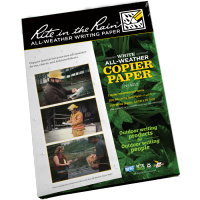 Completely waterproof and resistant to damage, this Rite In The Rain Notebook is made using recycled materials that are durable enough to withstand anything nature can pit against it. 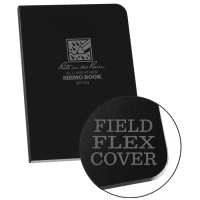 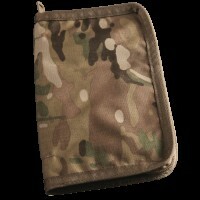 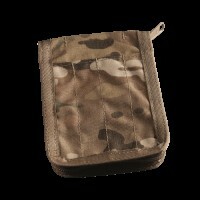 To ensure its waterproof sheets are afforded as much protection as possible, RITR 169 notebooks have abrasion-resistant PolyDura plastic covers that are also lightweight, flexible and suitable for a wide-range of environments. 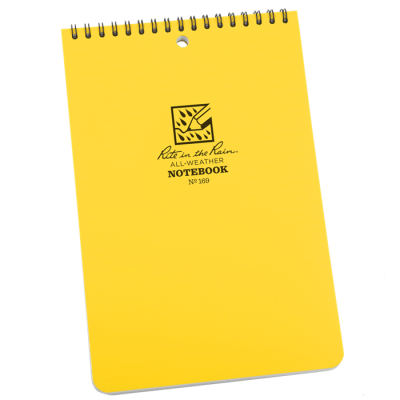 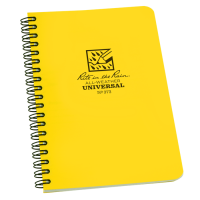 Popular amongst professional adventurers and security professionals alike, these yellow 6” x 9” notebooks are ideal for those undertaking strenuous outdoor pursuits; including hiking, mountaineering, trekking, hunting, and even rafting. Held together with a top-spiral wire binding, these notebooks have 100 pages on which to write, doodle or jot down notes. 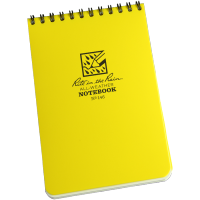 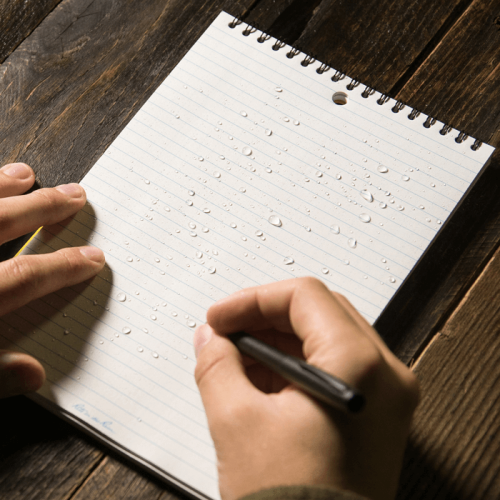 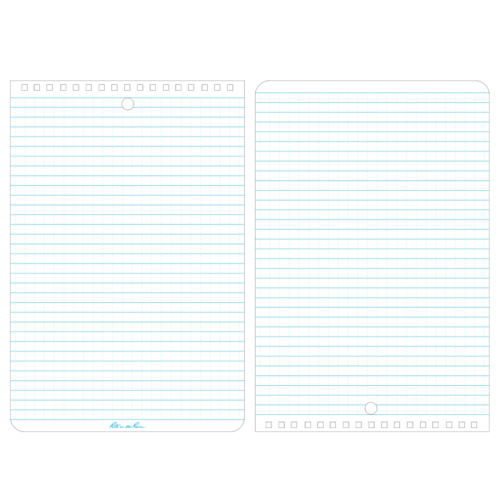 Complete with anti-glare properties, the Rite In The Rain 169 Top-Spiral Notebook’s white sheets have a universal page layout with an evenly spaced grid of horizontal and vertical lines. 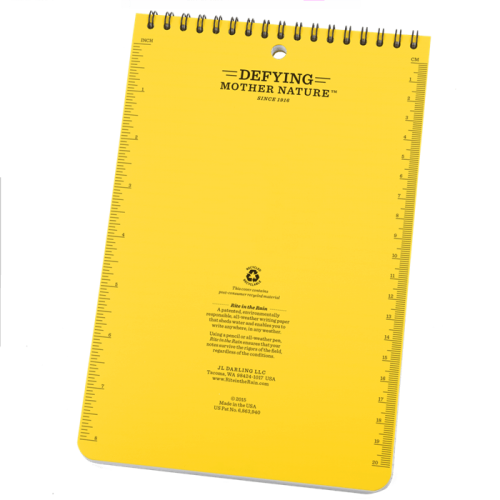 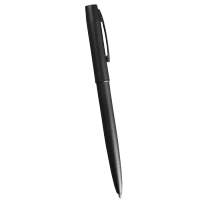 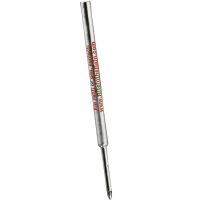 Capable of being written on using any common writing tools, to get the most out of these all-weather notebooks we’d recommend using a waterproof pen or pencil.